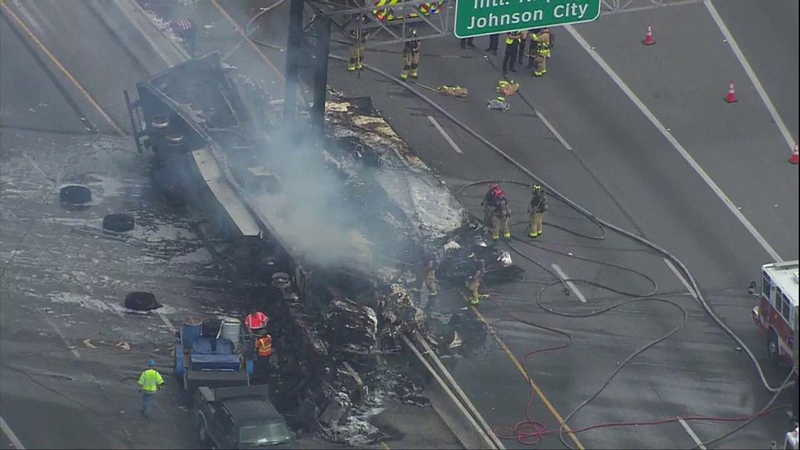 SAN ANTONIO - The Texas Department of Transportation is getting the bill for the damage caused by a fiery crash north of downtown last month that shut down traffic on one of the city’s major highways. The wreck involving an 18-wheeler happened along Highway 281 and Hildebrand Avenue on Sept. 12. The preliminary estimate for the damage is $240,000 based on labor, equipment and materials. That figure could go up. TxDOT said more invoices not received yet could come in and change the estimate. No one was hurt in the crash, but the big rig was destroyed along with a highway sign, with significant damage done to the barrier in the middle of Highway 281.